Regardless of what type of heating repair you need, Reno Heating & Air Conditioning will help you find an affordable solution! Contact us today at (775) 356-6868 to learn about all of our options and solutions for your heating repair services in the Sparks, Reno & surrounding areas. With a team of professionals with years of experience, our technicians that provide exceptional furnace repair in Sparks & Reno. We are accustomed to dealing with a wide range of systems and configurations and can handle any job. Whether you allow us to prevent future problems by replacing your filter or cleaning your furnace or need us to fix a heating issue, rely on Reno Heating & Air Conditioning to resolve your furnace & heating repair problems - always affordable and always on time. When it comes to choosing the right HVAC company to service your oil furnace, Reno Heating & Air Conditioning has a proven record in providing excellent service for its customers throughout Sparks, Reno & surrounding areas. Reno Heating & Air Conditioning has experience installing and replacing oil furnaces in all types of homes. Call us to discuss installing a new oil furnace, our technicians will sit down with you to find the right heating system for your home's heating needs and budget. 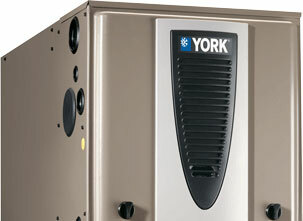 The more efficient your furnace is, the lower your energy bill will be. Heaters have, for the most part, become more energy-efficient over the years. Choosing the right heater is not necessarily just a question of cost. Part of your decision should be based on having the right heater for your home to maximize its efficiency, which can generate incredible savings over time. Reno Heating & Air Conditioning is proud to combine this kind of quality heater equipment with courteous, expert service in the Sparks & Reno. We use our skill and experience to help you choose the furnace that makes the best economic sense.